Hello everyone! 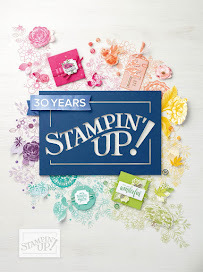 Today I have a project using Stampin' Up! 's new Bold Butterfly Framelits. 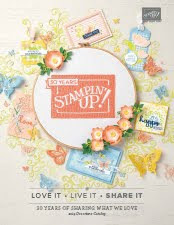 I also used the great Stampin' Up! 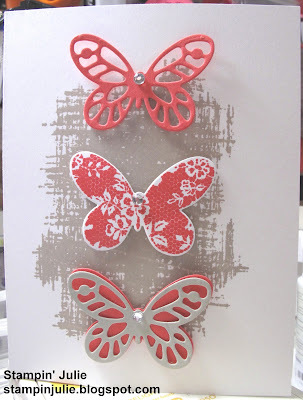 stamp set Butterfly Basics and Butterflies Framelits. 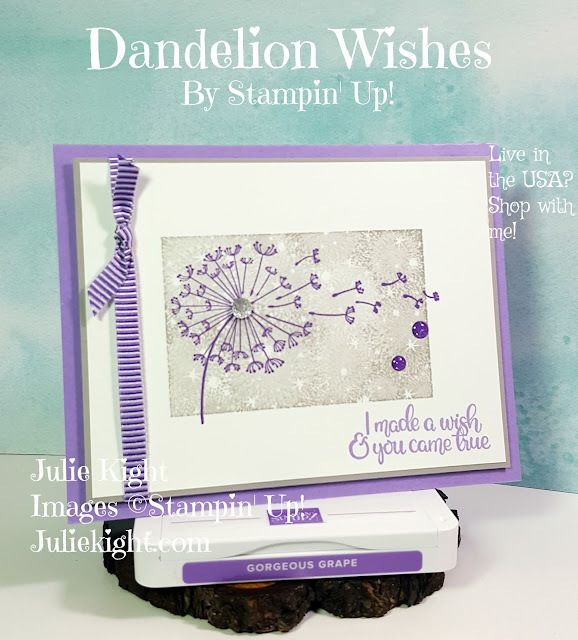 I got the idea for this card from the new 2015-2016 Stampin' Up! catalog page 129. They used a different background stamp but I did not have that one so I used what I had and it is this stamp from You've Got This stamp set. I think it came out just as good. I also used a little different colors. I used Watermelon Wonder and Sahara Sands. 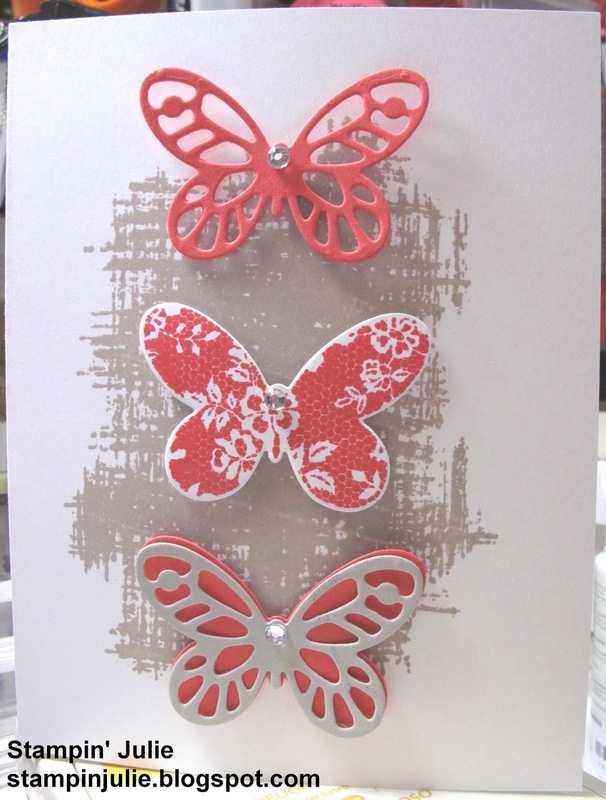 I first stamped the middle butterfly with Watermelon Wonder and the background of the base card with Sahara Sand. Then I die cut all three out with my trusty Big Shot. I then popped the butterflies up with Stampin' Dimensionals and then placed a rhinestone on top. You would have your choice of whatever stamp you want inside. Remember that on June 27th I will be having an Introduction into Stamping Open House/Workshop. So if you happen in be in the Northern Arizona/White Mountain area that day come on by and see me and do a make-n-take plus get a new catalog and be entered into a door prize.